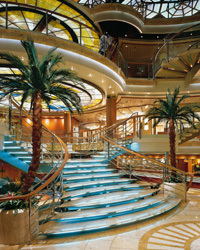 Why cruise with Princess Cruises? Gratuities will be automatically added to your shipboard account on a daily basis. This gratuity will be shared amongst those staff members that help provide and support your cruise experience, including all wait staff, stateroom stewards, buffet stewards, and housekeeping staff across the fleet. Guests may adjust gratuities while on board at their discretion. A service charge is also added to bar purchases and dining room wine accounts. 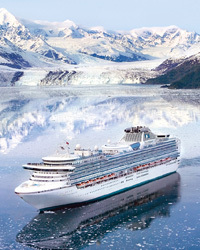 Caribbean, Alaska, Panama Canal, Europe, Mexico, South America, Australia/New Zealand, South Pacific, Hawaii, Tahiti/French Polynesia, Asia, India, Africa, Canada/New England and World cruises.